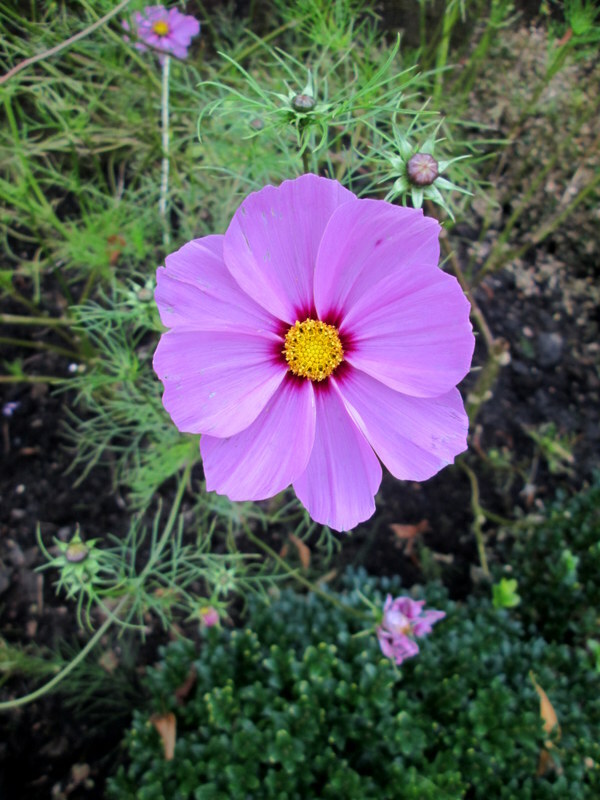 The weather in Brussels is strangely Autumnal; it doesn’t really feel like August. Sunday was sunny, but cool, and I wore my Winter coat to go to the park. 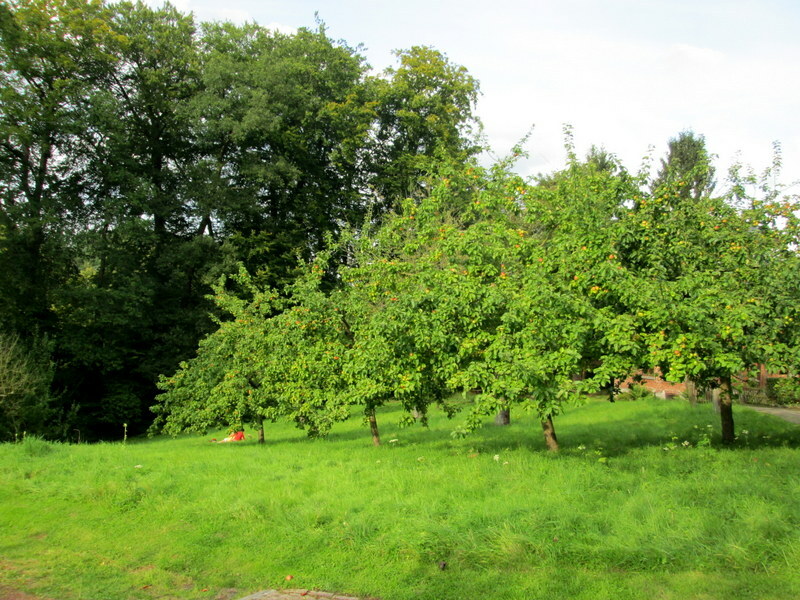 I used to go to this park with my grandma as a kid, before we moved to Copenhagen, and it’s so strange to go back there as an adult, the little ponds look teeny tiny now, and the apple orchard is much smaller, but still just as pretty. 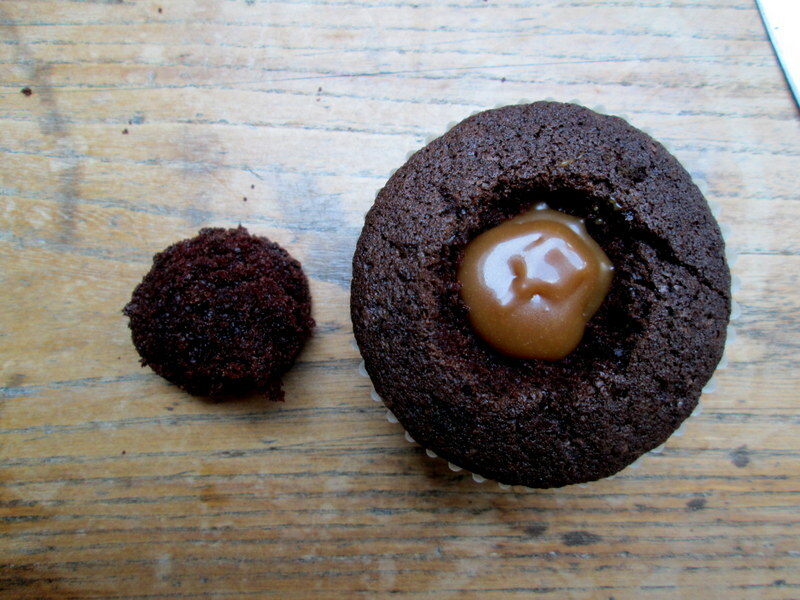 I’ve long been thinking about making some sort of caramel-filled cupcake (even though I don’t like cupcakes, really, but if they’re filled with salted caramel sauce, I’ll happily give them a go). 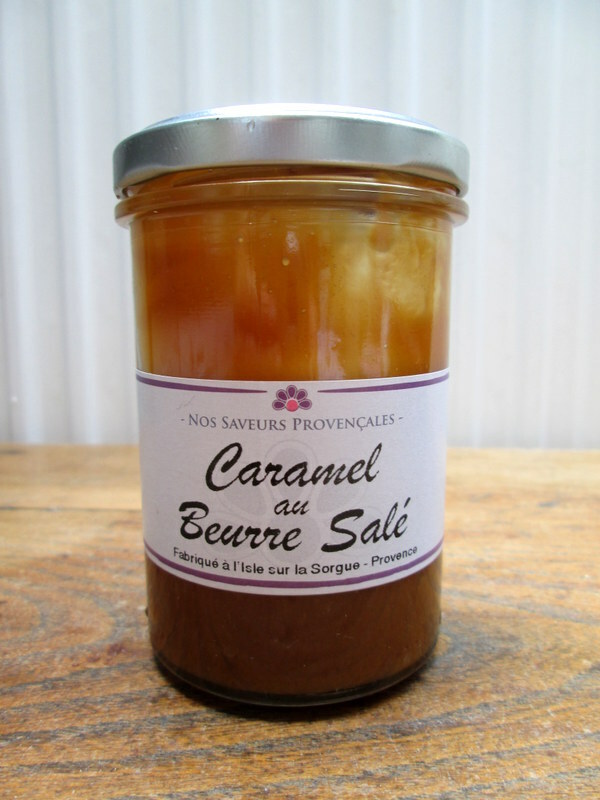 A little while back, my parents brought me back a jar of Caramel au beurre salé they’d bought at a market in Provence. When I was there on holiday last week, I bought two more jars. I’ve also been entertaining the idea of trying my hand at making it myself, but not until I finish the three jars I have in the house. Shouldn’t take too long. 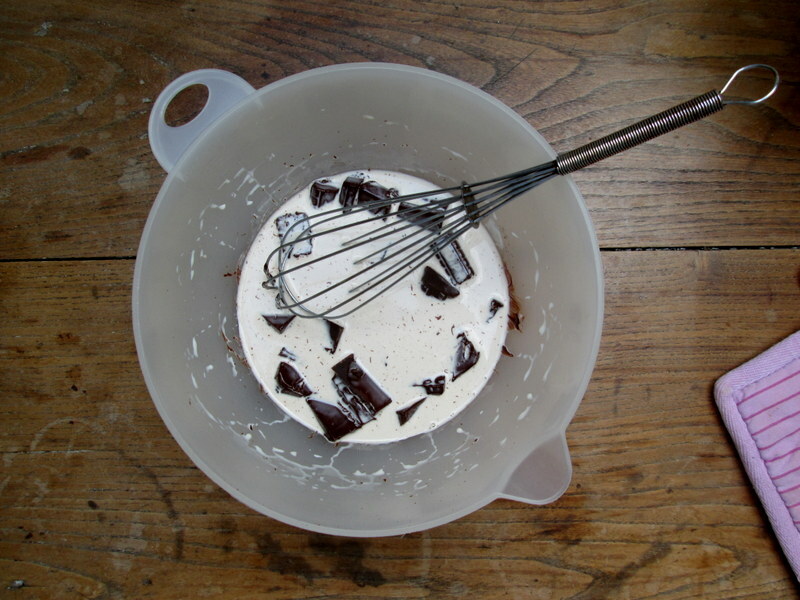 On Sunday I decided to take David Lebovitz’ Devil’s Food Cake recipe as my point of departure. I first made the cakes by placing a dollop of salted caramel sauce in the batter, covering it with another dollop of batter, and baking them like this, but the caramel sort of dissipated into the chocolate cupcake, leaving only a little residue at the bottom – I suspect this technique only works with those chewy caramels, not with caramel sauce.. So I added another dollop of caramel sauce once the cakes had been baked, and next time I make these I’ll just do this (or maybe try with chewy caramels). 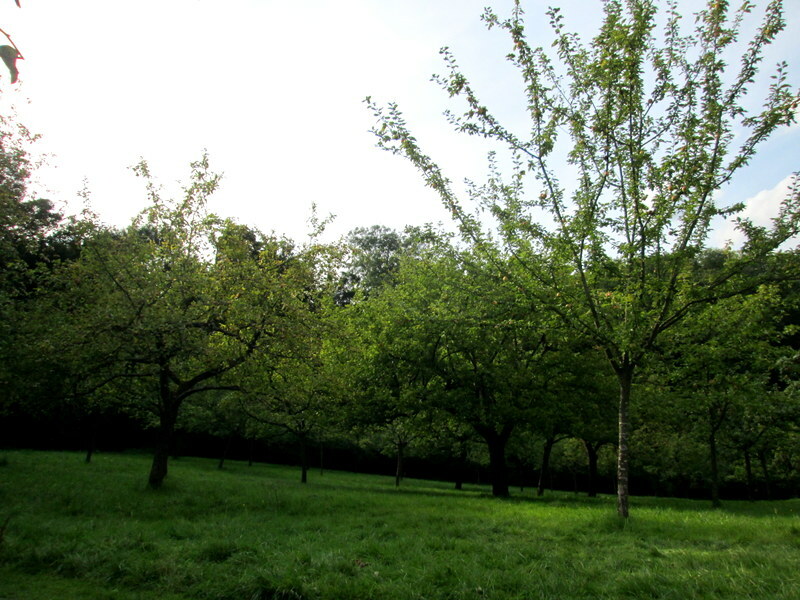 I brought some to the park, and sat on a bench with my friend Zane, drinking tea and eating cupcakes, and looking at the sunlight in the apple trees. 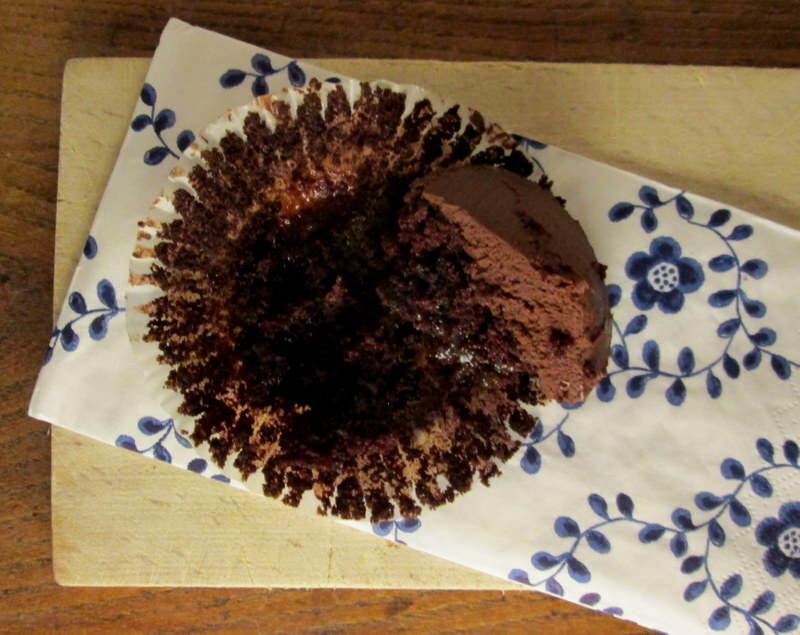 These cupcakes are very yummy and super rich, and I felt they needed a really intense ganache frosting to avoid being sickly-sweet, so I used really dark chocolate. Next time I make them I might not whip the ganache, so that it sets in a glossier, less buttercreamy/’frostingy’ consistency. But I don’t know, they were pretty good. 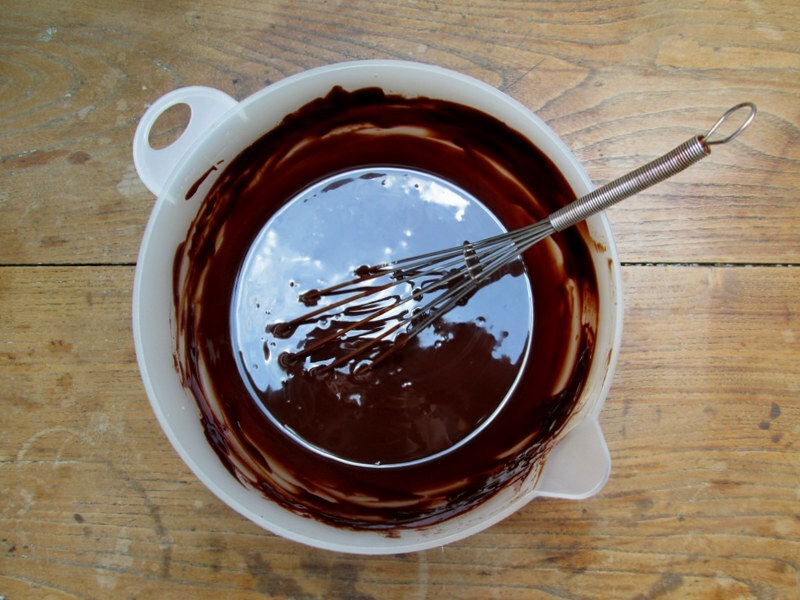 Begin by making your ganache so that it will have time to set: Heat the cream in the microwave on ‘high’ for a little over a minute; add the chocolate chunks, and leave the chocolate in the hot cream for a few minutes. After the chocolate has started to melt in the cream, stir until it gets nice and glossy and there are no more chocolate chunks. Leave to set whilst preparing the cakes. Preheat your oven to 180° Celsius / 350° Fahrenheit / gas mark 4. 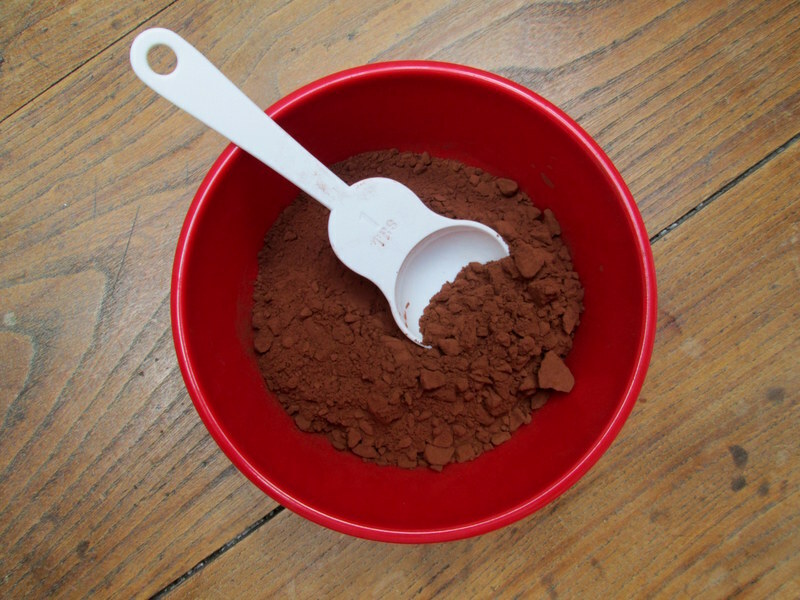 Sift together the flour, cocoa powder, salt, baking soda and baking powder. 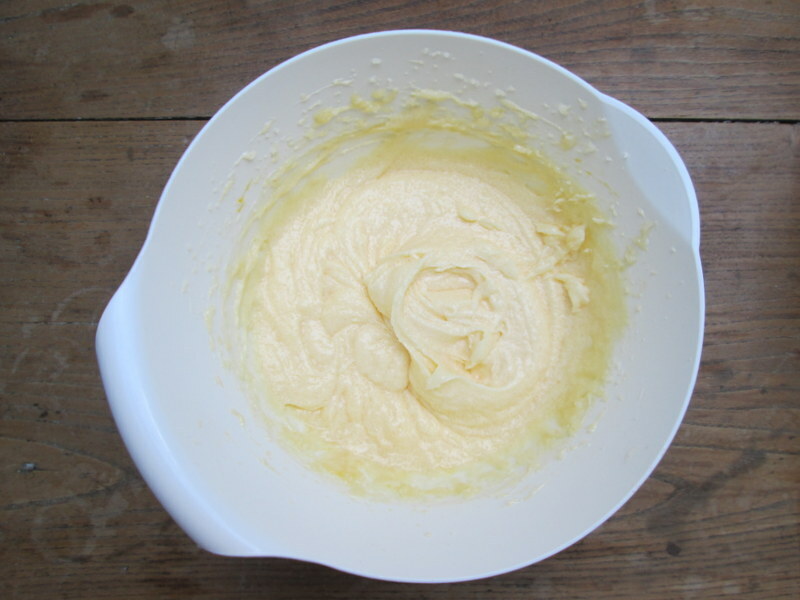 In a large bowl, cream the butter and sugar with an electric mixer until pale and fluffy. Add the eggs and mix well. 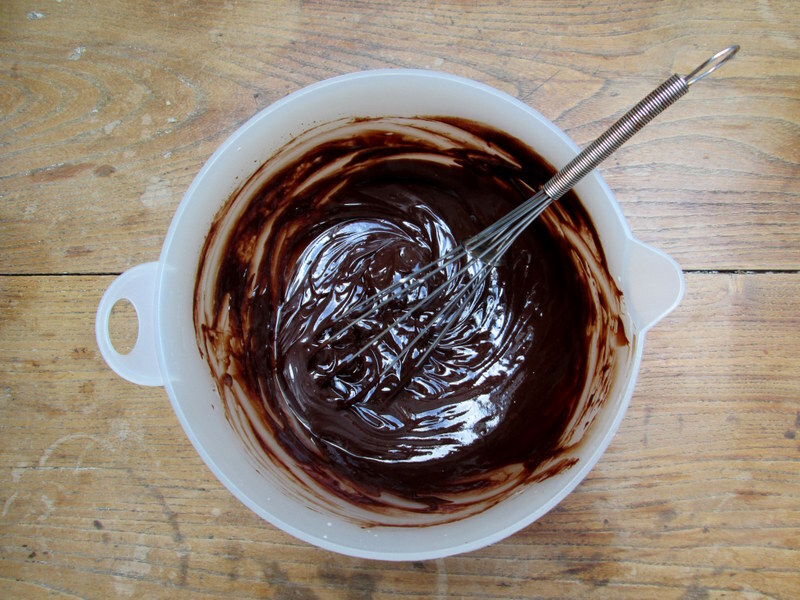 Now add the melted chocolate and mix until incorporated. 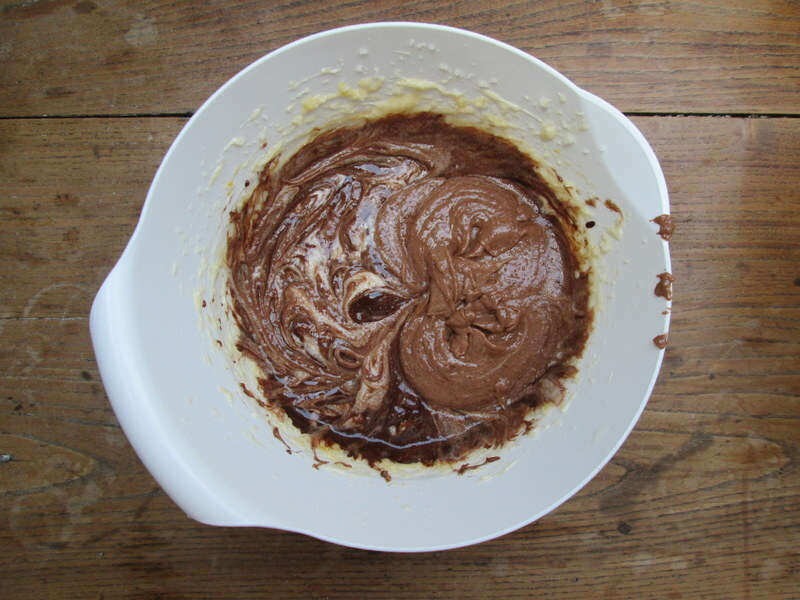 Alternate between adding half of your dry ingredients to the egg and butter mixture, mixing with a hand whisk, then half of your wet ingredients, then the remaining dry ingredients, followed by the remaining wet ingredients. 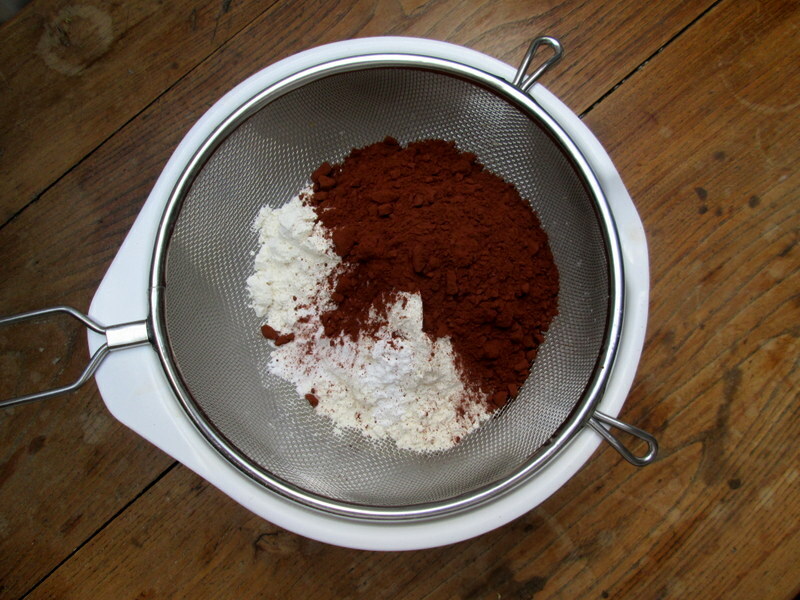 Make sure all of the flour mixture has been incorporated, but don’t over-mix. 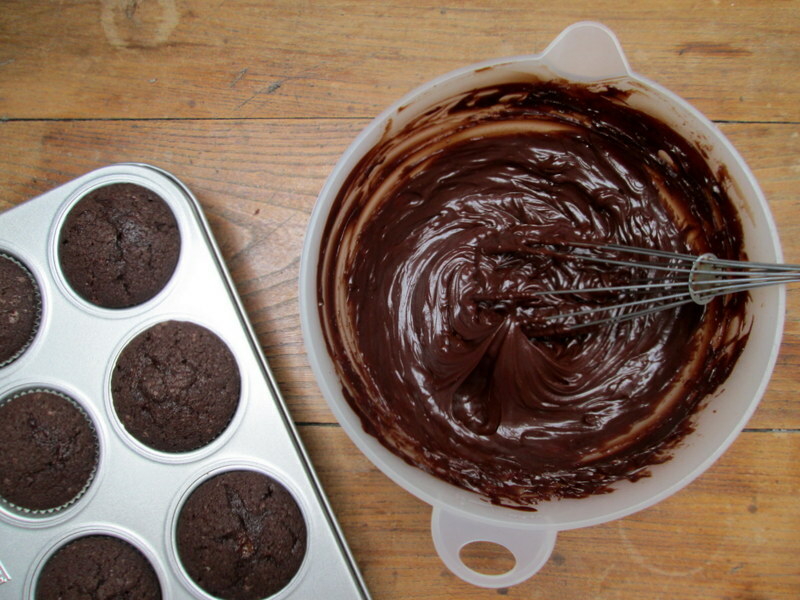 Line two 12-muffin muffin or cupcake tins. Fill them a little over two thirds, and bake in the middle of the oven for just under 20 minutes, until they feel soft but not wobbly, when pressed gently. 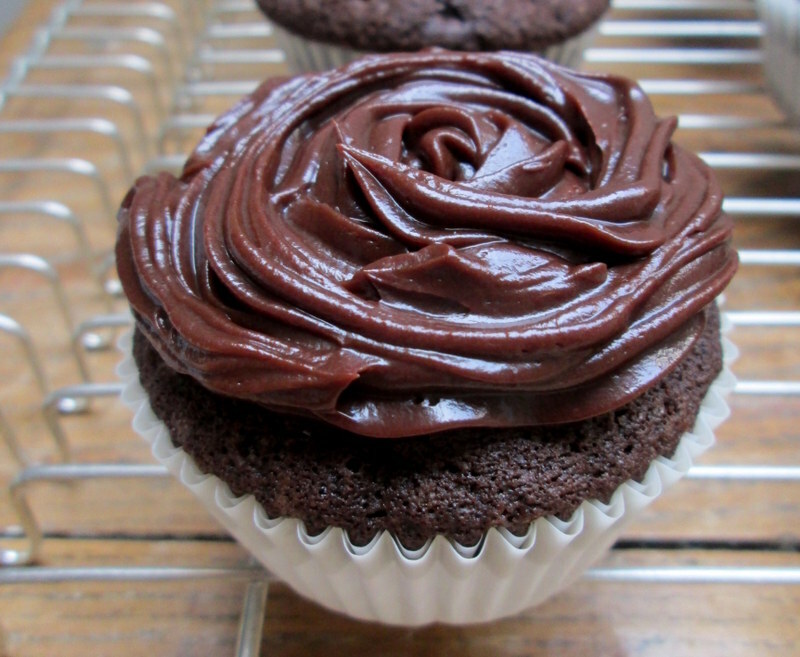 When cool, using a small knife, one cupcake at a time cut an approximately 2 cm wide, 1.5 cm deep hole out of each cupcake. With a teaspoon, scoop about 1 spoonful of caramel sauce into the hole, placing the little cake lid back on. Set aside. 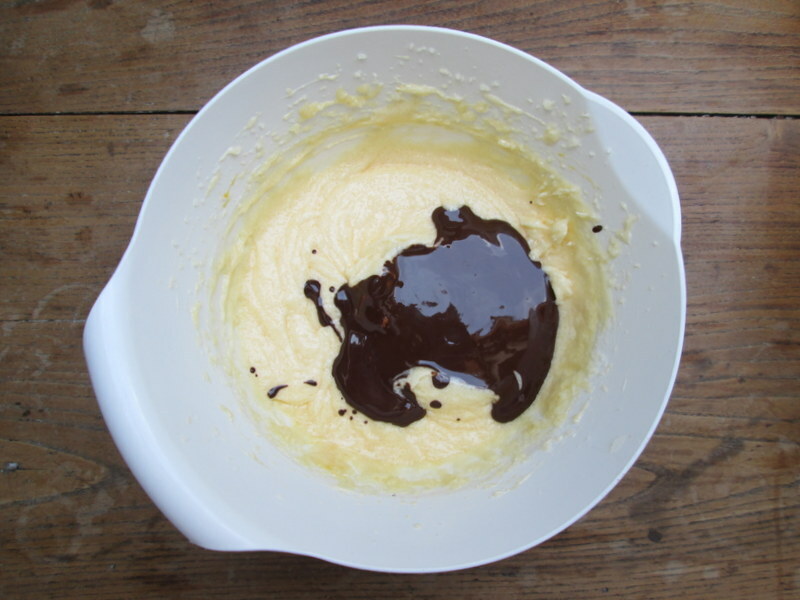 Now beat the room temperature ganache with an electric mixer for a minute or two until fluffy. Once this is done, give it a good stir with a silicone spatula. Spread the frosting on each cupcake with a butter knife (at first I didn’t beat the ganache, so it was still smoother and more malleable, and began frosting the cupcakes with a piping bag with a small star tip – as you can see in the bottom left picture below; but then my piping bag up and died on me!! 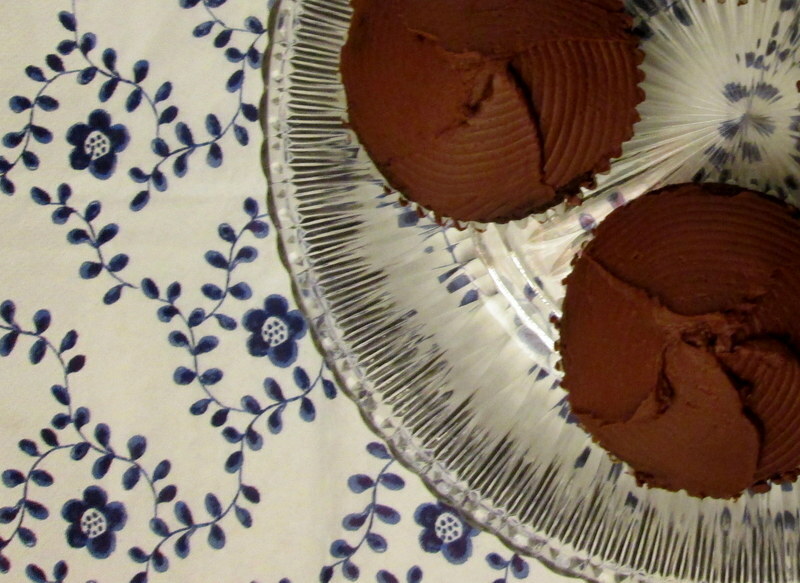 So I beat the ganache to a thicker consistency and finished frosting them with a butter knife, and I actually liked the result much better, it was rustic and a lot less ‘froufrou’, and made a kind of almost chocolate truffle-like frosting). If you feel the frosting beginning to set, give it a vigorous stir with the spatula before continuing to frost the next one.